Canada’s history is interwoven with the cultures of our First Nations people, and the original inhabitants of this land are finally becoming a celebrated and respected aspect of everyday life in Canada. In Vancouver, First Nations art is highlighted throughout the streets. From Hill’s Native Art store that began in 1946, to the iconic Inukshuk that became the symbol of the 2010 Vancouver Olympic Winter Games. First Nations art galleries abound in Vancouver, and each piece in one way or another gives insight into the stories, histories, and beliefs of our cherished aboriginal peoples. Our Hop-On, Hop-Off PARK Route includes a short ferry transfer from Stop P13, the Aquatic Centre, over to Granville Island. 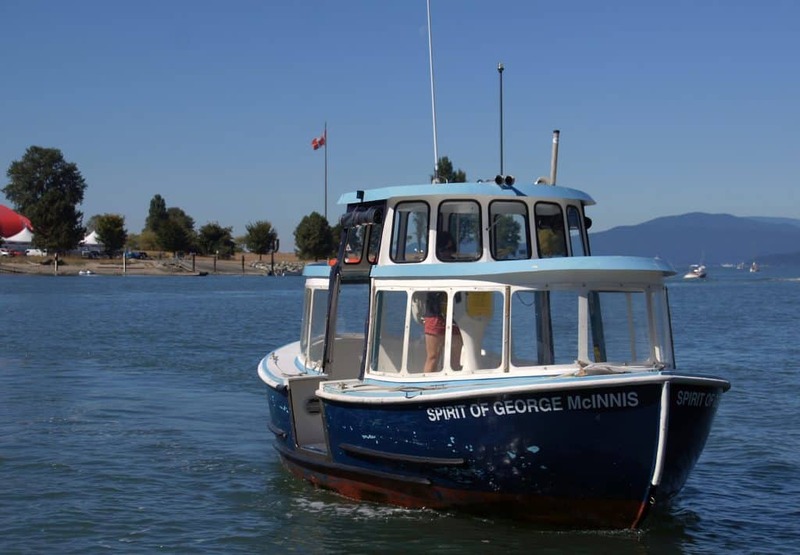 Upgrade your ticket to cruise to 9 different stops throughout False Creek, connecting you to highlights like the Maritime Museum, Granville Island, Yaletown, Edgewater Casino, Olympic Village and Science World! Are the False Creek Ferries wheelchair accessible? Unfortunately, the boats are not wheelchair accessible. How frequent are the ferries? Depending on the stop, the ferries depart every 5-15 minutes. What ferry stops are included with the Hop-on, Hop-Off Sightseeing Pass? Your Hop-On, Hop-Off Sightseeing Pass includes a one-way trip to Granville Island from Yaletown or the Vancouver Aquatic Centre. 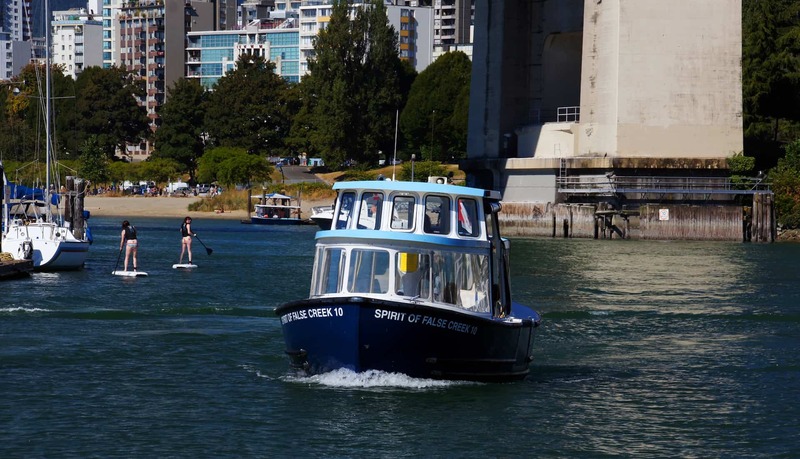 What time do the False Creek Ferries run until? The False Creek Ferries run from 7:00 a.m. until 9:00 p.m. during the winter season. Please note that hours of operation may be changed due to special events. We recommend contacting us at 604-451-1600 for the latest information. Where do the False Creek Ferries stop? The False Creek Ferries have 9 stops including Granville Island, Aquatic Centre, Maritime Museum, David Lam Park, Stamp’s Landing, Spyglass, Yaletown, Plaza of Nations, and Science World.